IBA (Ion Beam Applications SA), a provider of proton therapy solutions for the treatment of cancer, is pleased to announce the opening of the Apollo Proton Cancer Centre in Chennai, India, and the first treatment of a patient with proton therapy in Southern Asia. The medical team from the Apollo Proton Cancer Centre in Chennai, India, successfully treated the patient with the IBA Proteus PLUS multi-room proton therapy solution in January. The patient was treated for prostate cancer and proton therapy was used to maximize preservation of the surrounding healthy tissues. IBA is proud to be playing an important role in bringing cutting-edge cancer treatment technology to patients in India, one of the most populous regions in the world. Proton therapy has already benefited to more than 180,000 patients treated worldwide. This number is expected to double over the next five years, supported by expert opinion and clinical experience. In recent years, this has led centers in Japan, Korea, the Netherlands, Germany or the US to increase the number of indications treated with Proton Therapy. Collectively, the most prestigious oncology centers treat more than 24,000 patients per year with Proton Therapy, and work together to increase the quantity and quality of the clinical evidence necessary for wider adoption of this cutting-edge technology. 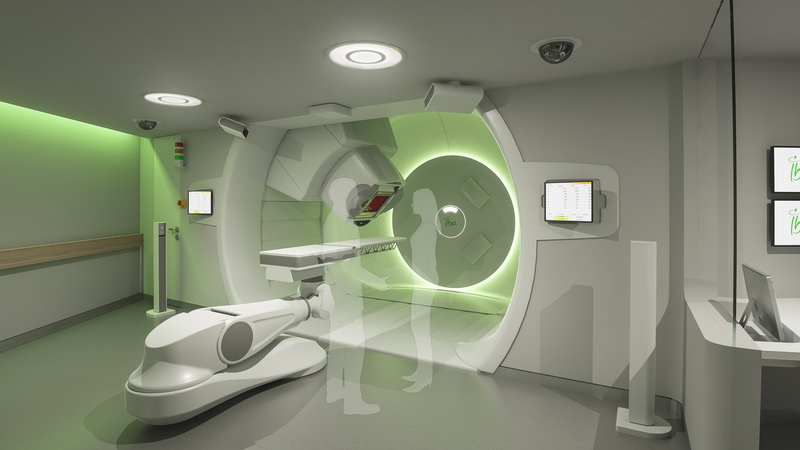 Apollo Proton Cancer Centre in Chennai, India, opens and offers IBA proton therapy. Appl Rad Oncol.